#WorldElephantDay on social media to spread awareness (www.worldelephantday.org). It is thought that there used to be approximately 350 different species of elephant on the planet, at one time. 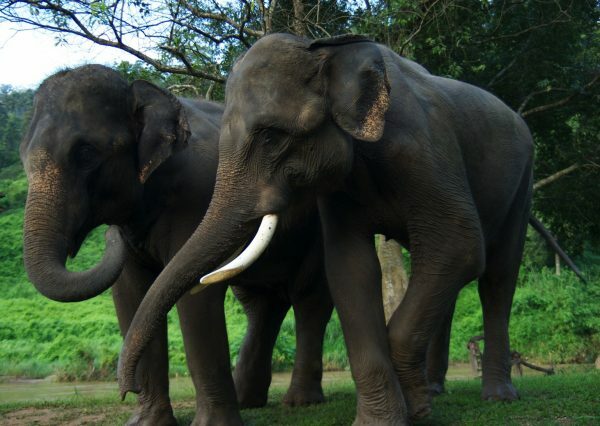 Today there are only two species left; the Asian elephant, and the African elephant . Wild lifespan of 60-70 years; captive lifespan of below 40 years. Live together in (familial) herds of 10-100 elephants, led by the matriarch. Young males will leave the family heard, and often form smaller bachelor groups, once sexual maturity is reached. 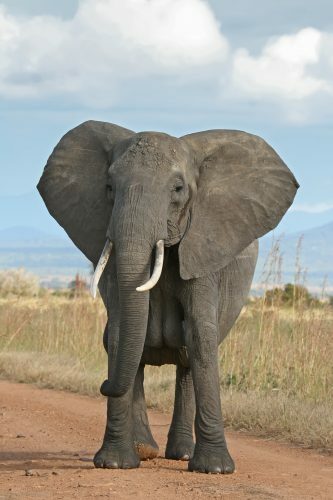 Known to visit ‘elephant graveyards’ and mourn the death of herd members. Their trunk is used like a finger/hand – to grab things, such as food or to move obstacles out of their way; as well as sometimes being used to hold onto the tail of the elephant in front during walkies! also known as the Indian elephant. smaller in size than the African, weighing up to 5 tonnes, reaching 6.4 metres in length, and 3 metres in height. small ears, straight at the bottom. only males have tusks; not all males get tusks. five toes on the front feet; four toes on the back feet. estimated to be less than 50,000 remaining in the wild – classification: endangered. 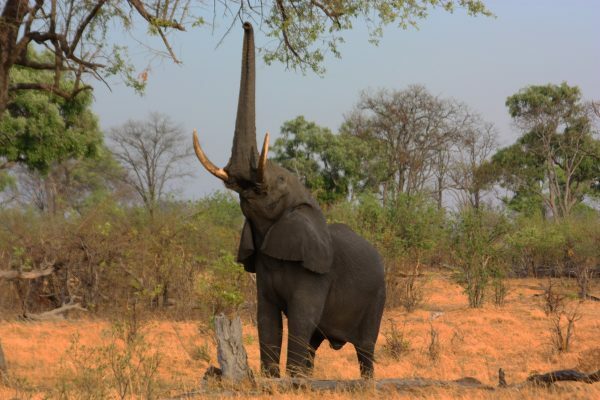 larger of the two elephant species, weighing up to 6 tonnes, reaching 7.5 metres in length, and 3.3 metres in height. large, round edged ears; used as fans in the heat (plus excess heat is released from the large surface area). of the African, there are two subspecies; bush or savanna and forest. both males and females have tusks. African elephants are left or right-tusked (like we are left or right-handed); the dominant tusk is often smaller due to wear and tear. five front toes; three hind toes. estimated to be 470,000 remaining in the wild – classification: vulnerable.